During worship, at the beginning of Children's Time, the children are encouraged to give an offering. 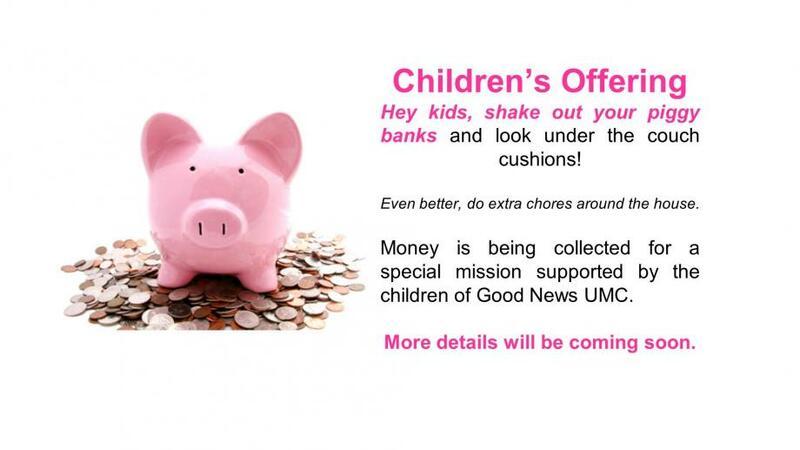 We will be donating to missions that the children can be involved in. Our current mission is purchasing baby dolls for some of the residents of Cottonwood Creek Nursing Home.